"Church World Service Exists because they recognize that human rights are violated in countries where these people are fleeing from, so I would say human rights activism is a core value of Church World Service." 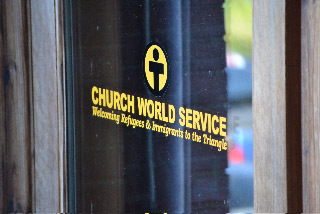 Since 1946, this refugee resettlement organization has been working earnestly in partnership with community partners and volunteers to welcome more than 80,000 refugees across the country including more than 200 refugees to the Triangle each year. Duke student led protesters to the Durham Draft Board donned in the somber black robes of the specter of death. Across the country, these coordinated protests were designed to call attention to use of deadly toxins in Southeast Asia and the death of young draftees. Certain events are so monumental that they define the soul of a generation. Where were you when the planes hit on 9/11? What were you doing when MLK was cut down by a sniper’s bullet? Such defining moments unite us all through our most basic commonality—being human. Black and white alike, Americans across the nation reacted with sorrow and anger to the news of Dr. Martin Luther King Jr.’s assassination on April 4, 1968. In 1933, Thomas Hocutt, an African American student from the North Carolina College for Negroes was rejected from the University of North Carolina School of Pharmacy due to the all-white admissions policy. 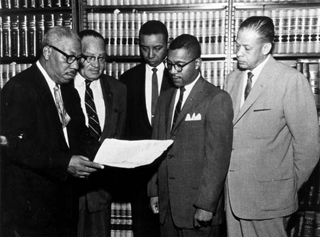 After hearing his concerns, two African American lawyers from Durham, Conrad Pearson and Cecil McCoy took matters in their own hands and with the support of the NAACP filed suit against the University. It would be the first ever attempt to integrate higher education in the United States. But despite their best efforts, the case known as Hocutt v Wilson would not go forward. 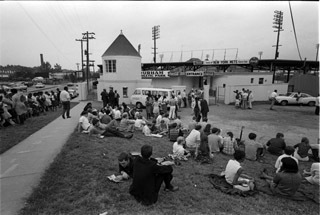 The black community began protesting to integrate this signature athletic park, home to the Durham Bulls Baseball Club in 1957 when the first two black players, Bubba Norton and Ted Richardson, were added to the roster. 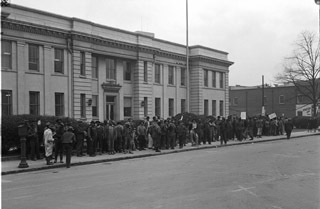 1957 in Durham was a year that hosted both the preservation of segregation as well as the onset of integration. 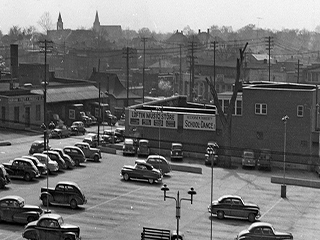 At this time, the Durham Athletic Park resembled most recreational sites downtown. It mainly catered to the entertainment of whites but did have segregated seating for blacks. It was a little chilly, but a beautiful day, the morning of November 29th, 1968. Everyone was lined up on Fayetteville Street as the yearly Christmas Parade began. 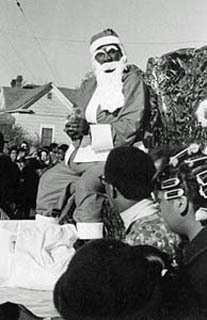 The high school band played all of the best Christmas carols and performers were festively dressed to the nines. Pretty cars with smiling people pulled elaborate floats slowly down the street, and kids with big toothy smiles toppled over one another to catch the candy that was being tossed out to the crowd. Something about this day though, was different than it had ever been. 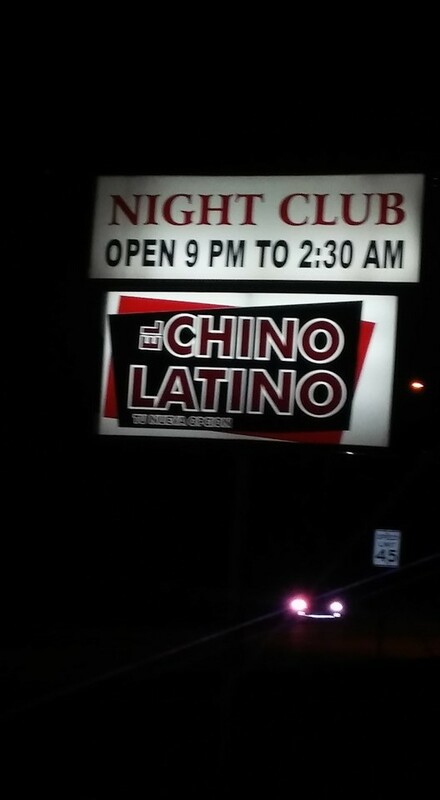 El Chino Latino serves as a half restaurant-half night club, providing patrons with hybrid Chinese Latin American food and drag shows, dancing, and drinks. Open since before the early 2000’s, El Chino Latino represents a unique intersection of the Chinese, Latinex, and LGBT+ communities. Historically, the queer community has been a crossroads of people of all races, religions, and socioeconomic backgrounds, from transgender women of color to homosexual Jewish men. The North Carolina Lambda Youth Network (abbreviated NCLYN) was established in Downtown Durham in July of 1996 by Duke alum Hez Norton. Norton founded the NCLYN because many queer young people, who felt they had no support network, were leaving North Carolina. Norton wanted a space for youth to talk and be open, but also wanted to develop avenues to help them develop into leaders. 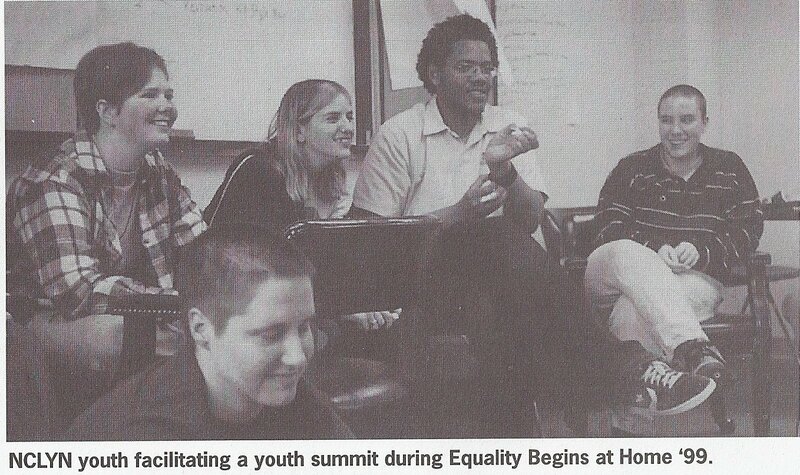 Therefore, when opened, the NCLYN was a youth-led statewide leadership development network for lesbian, gay, bisexual, transgender, questioning and allied (LGBTQA) young people, ages 13 to 24. 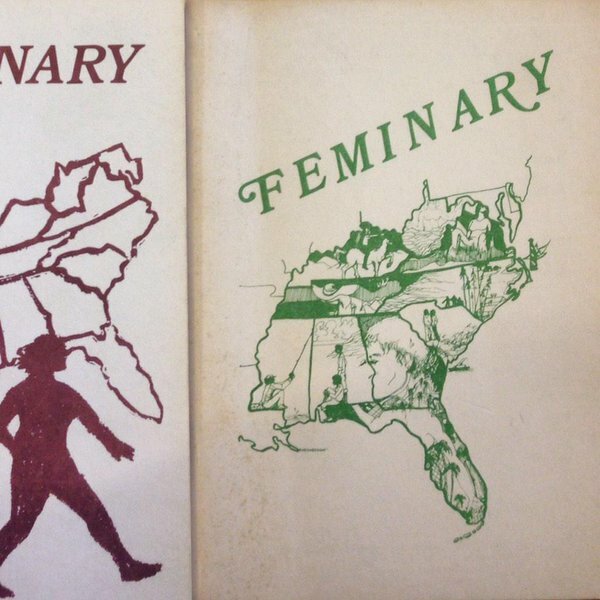 Feminary was a Southern Feminist journal, written and edited by a Lesbian Feminist women’s collective in North Carolina’s Triangle Area between 1969 and 1982. “Feminary” was actually the publication’s third name, succeeding “The Research Triangle Women’s Liberation Newsletter” and “The Feminist Newsletter.” The journal’s founders—most of whom were graduate students at The University of North Carolina at Chapel Hill at the time—originally designed the newsletter to help feminist groups in the Triangle Area communicate with each other. 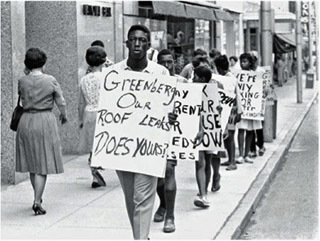 Protesters with painted signs bearing these word marched outside both Abe Greenberg’s office and home during the summer of 1966 in response to his unwarranted hikes in rent and disregard for the needs of his tenants by not meeting Durham’s housing codes. Most of the demonstrators were low-income black women, who, out of frustration, even tried to appeal to Mrs. Greenberg’s sympathy by describing the inadequate living situations of their children. A safe space to gather, a safe place to unite. 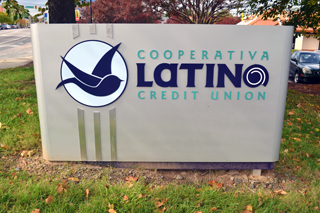 A place to be proud of your identity. In 1971, eight years after Betty Freidan’s publication The Feminine Mystique provided a manifesto for the movement of second-wave feminism in the United States, the Durham YWCA opened its internally-sponsored Women’s Center. The program was first led by YWCA program committee chair Muriel Smith, with the original intention of simply creating a Women’s Library focused upon literature on women’s rights and history. Durham has made a commitment to its youth since the founding of the John Avery’s Boys & Girls club. In the spirit of John Moses Avery, the John Avery Boys & Girls Club reflects a sense of community in Durham for African American youth and Avery’s pursuit for equality of African Americans and enforcement of his beliefs. John Moses Avery was a North Carolina native and tireless champion for the residents of Durham and used his influence as a member of the AME Church and a resident as well to empower and promote the values of education and the significance of family unity. 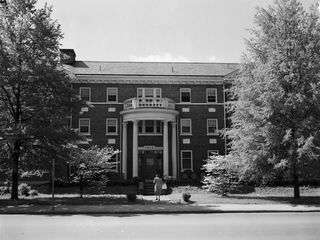 Lincoln was the only hospital within a 25-mile radius of Durham to treat African Americans until the early 1960s when Watts Hospital integrated its wards. 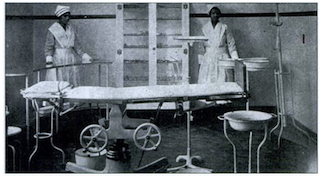 Blacks often turned to midwifes and home remedies for their healthcare. 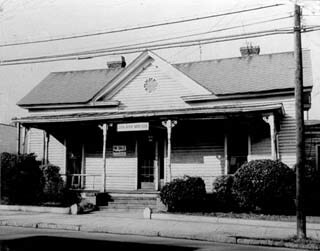 Dr. Stanford Warren, John Merrick, and Dr. Aaron Moore (Durham’s first black physician) founded Lincoln hospital in 1901 through a generous support from Mr. Washington Duke, a well-known business man and philanthropist in Durham. What shall we teach our children about race and race relations? Wallace Nelson, a Cincinnati representative of the Congress for Racial Equality, silenced the Hillside High School Parent-Teacher Association meeting on January 14th, 1952. Nelson’s answer was a boycott of segregated public spaces to prove that non-violent direct action was applicable in the Southern community in promoting contact and friendships between students of different races. Enthusiastic applause was the response from the room of more than 100 parents and community leaders. 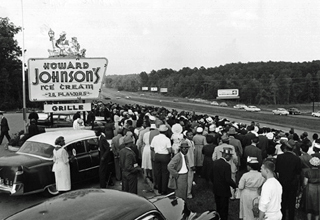 500 people filled the parking lot of the Howard Johnson Ice Cream Parlor and Restaurant demanding that African Americans be served with the same courtesy and access as white patrons. During this "Freedom Assembly" protesters sat inside as well. It took more than a year of consistent aggitation before the restaurant changed its policy and opened its doors to all. 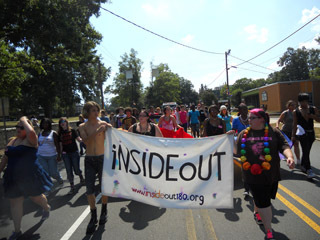 iNSIDEoUT 180 empower LGBTQ students in high schools across the Triangle. Run by the youth with adult support, the organization plans Queer Prom and helps students organize new Gay Straight Alliance (GSA) organizations in their schools. They often meet with resistence but also give youth a strong voice and a safe place to be themselves. Jackson: iNSIDEoUT is a network of local GSAs in the Triangle and it organizes events and basically unifies all of those high schools and even some of the universities. 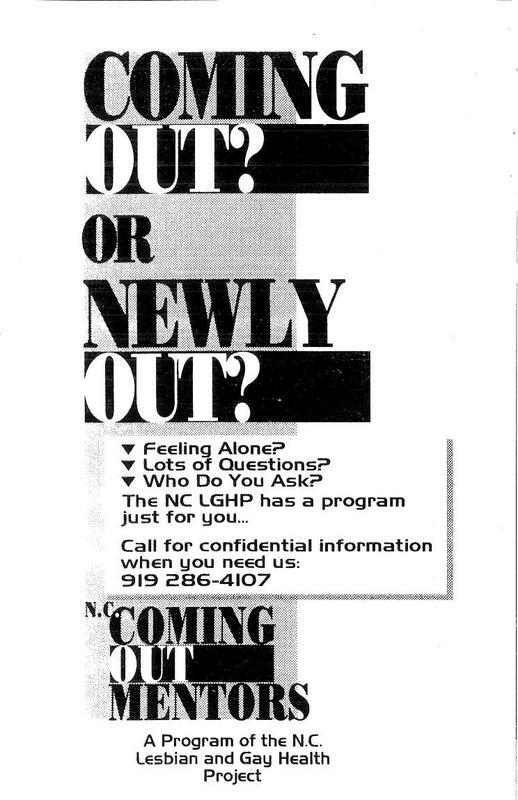 The Durham Lesbian and Gay Health Project (LGHP) was founded in 1982 “to openly and affirmatively promote individual and community well-being of gay men and lesbians…” The HIV/AIDS crisis was looming, revealing deep homophobia in the healthcare system. Founders David Jolly, Carl Wittman, Timmer McBride, and Aida Wakil wanted to connect gay men and lesbians with gay-friendly physicians and more information about their health needs. Many volunteers recall phone threats from homophobic opponents of the Project. For their safety, the location of the Project was kept secret. 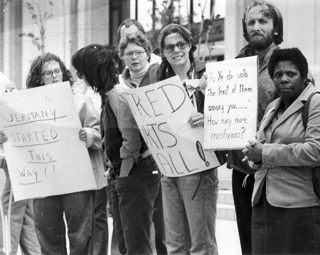 On Friday, April 17th, 1981, 125 men, women, and children held up these signs and others as an act of protest in front of the Durham County Judicial Building. 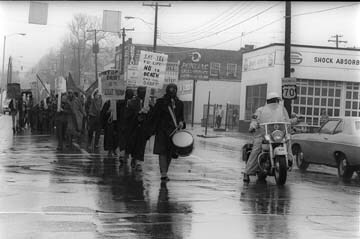 Their demands were universal, but their presence that day publicly denounced an incident of violence in their own community. Affirming faith communities are very important to many lesbian, gay, bi-sexual, transgender and queer (LGBTQ) people. 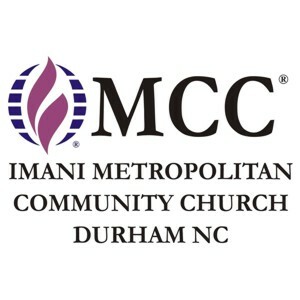 Imani MCC is one of those communities since its founding in November of 1977. Imani, meaning faith in Swahili, is open to all people including members of the LGBTQ community. How powerful is silence? Can you really promote a cause by not saying anything at all directed toward authorities? North Carolina College students did just that. They vowed to fight against segregated serving policies through silent and peaceful protest. They would stand up, or, rather, sit down, for their rights. Following the February 1st sit-in protests in Greensboro, Durham students took charge. 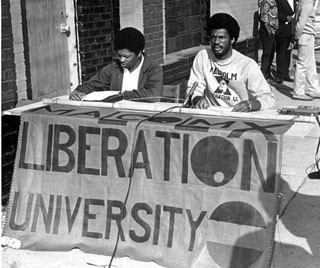 In 1969 local activist Howard Fuller along with a group of Duke students founded Malcolm X Liberation University in an old hosiery mill in downtown Durham. 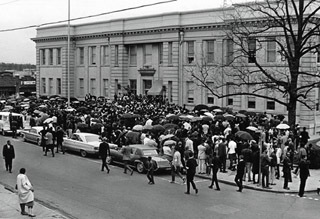 Fuller and the students were unhappy with Duke's progress toward equal resources for black students and the formation of a black studies department, common concerns at the time in universities across the US. Recorded music was an important tool for Durham's African American community and their fight for civil rights. Snoopy's Discount records, open in the 1960s and 1970s provided access to a studio and an outlet for record sales. Led by Jimmy Liggins, this effort was an economic generator and a gathering place for local black musicians.